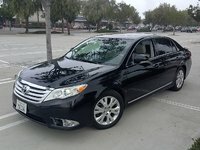 CarGurus has 73,702 nationwide Camry listings starting at $1,050. 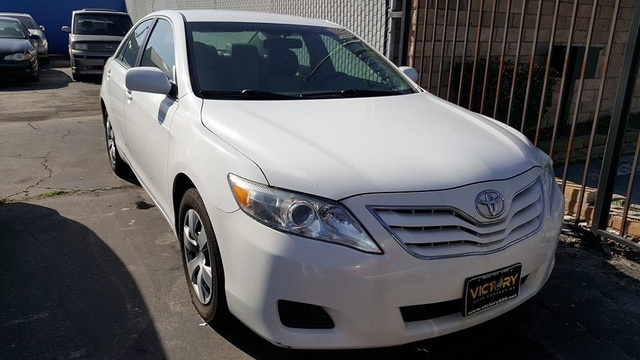 The 2011 Toyota Camry remains almost identical to its 2010 incarnation, providing a comfortable, spacious, quiet, and luxurious-feeling ride at a reasonable price with a zippy V6 option. Experts and owners alike have criticized the 2011 Camry for inferior interior materials with fit and finish issues, as well as an overly soft suspension, numb steering, and a generally dull ride. If you are seeking a family or commuter midsize sedan that will offer comfort, quiet, and space in a fuel-efficient, cost-effective package, the 2011 Toyota Camry may be for you. However, if you’re a driving enthusiast who wants a more exciting and involved driving experience, then, eh, maybe not so much. Last redesigned in 2007, the 2011 Toyota Camry brings little new this model year, and certainly not a titillating ride. Reviewers have almost universally commented on the lack of excitement offered by the 2011 Camry; then again, this midsize sedan has never been the choice of thrill seekers. The 2011 continues its sedate course, offering a quiet, comfortable, and reliable, if not electrifying, family sedan. The four-door, front–wheel-drive Camry offers four trim levels (Base, LE, sporty SE, and high-end XLE), plus an eco-friendly Hybrid. The non-Hybrid Camrys each feature an inline four-cylinder (I4) engine, with an optional V6 available for the LE, SE, and XLE trims. The Base Camry comes standard with a tilt-telescoping steering wheel, cruise control, filtered air conditioning, fabric seats, with a manual driver’s seat adjustment for vertical height, and 16-inch steel wheels. Standard technology in the Base trim includes an AM/FM/CD stereo with MP3 capability, six speakers, an auxiliary audio jack, power windows and locks, as well as an auxiliary power jack. The LE adds remote keyless entry, more adjustments for the driver’s seat (such as lumbar support), and a metallic-style interior trim. The Hybrid resembles the LE, but adds standard dual-zone climate control, the Plasmacluster ionizer to improve interior air quality, and the Smart Key System, which uses sensors to unlock and start the car automatically. The Hybrid also presents a uniquely designed grille, bumpers, and headlights (Hybrid Synergy Drive blue). The SE trim adds integrated front foglights, 17-inch alloy wheels, a three-spoke leather-wrapped sport steering wheel and shift knob, a blackout front sport grille (instead of metallic silver), and a sport suspension. The top-of-the-line XLE offers standard dual-zone climate control with Plasmacluster ionizer, wood-grain interior with chrome door handle accents, an autodimming rear-view mirror, manually reclining rear seats, manual rear window sunshade, and rear seat reading lights. 16-inch 10-spoke alloy wheels and heated side mirrors are standard exterior features. Standard technology in the XLE includes a JBL AM/FM 6-CD changer with eight speakers, XM radio, a USB port for iPod connection, and Bluetooth technology for streaming music and hands-free phone. It also offers the HomeLink Universal Transceiver, which allows for the activation of up to three remote controls from one unit mounted on the visor. All 2011 Camrys are available with a 2.5-liter inline four-cylinder (I4) engine with 169 hp and 167 lb-ft of torque (179 hp and 171 lb-ft for the SE), and all but the Base and Hybrid trims are also available with a 3.5-liter V6 engine that cranks the power up to 268 hp and 248 lb-ft of torque. While the performance of the I4 is deemed by most to be adequate compared to the Camry’s competitors, the power and handling of the V6 seem to be two of the vehicle’s selling features. 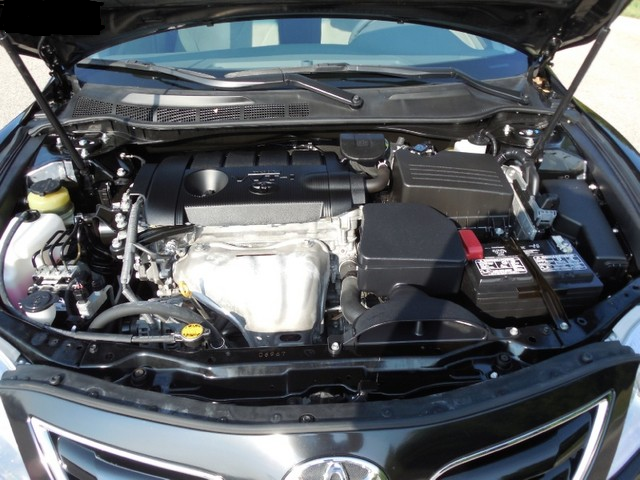 In fact, one test review reports that the XLE V6 gets from 0-60 mph in 6.2 seconds. The I4 Base, LE, and SE trims come with a standard manual transmission (and mileage estimates of 22/33 mpg) or an available six-speed automatic (with estimates of 22/32). The V6 LE and SE, as well as all XLEs, come only with a six-speed automatic (dropping mileage estimates slightly to 20/29). The Camry Hybrid uses Hybrid Synergy Drive and offers net power of 187 hp. The gasoline engine is a 2.4-liter four-cylinder that produces 147 hp and 138 lb-ft that partners with a battery-driven electric motor. The Hybrid achieves mileage estimates of 31/35 mpg (lower than Ford’s Fusion Hybrid) and offers an electronically controlled, continuously variable transmission that operates like an automatic. In road tests, the Hybrid posted a 0-60 mph time of 8.3 seconds. Most considering a Camry are looking for a comfortable ride. The Camry features a MacPherson strut front suspension and stabilizer bar with an independent strut rear suspension. The SE adds sport-tuned shock absorbers and springs as well as strut-tower and trunk-mounted braces. Reviews have criticized the “sporty” SE as delivering a less-than-sporty ride, delivering an only slightly firmer suspension than the other soft-riding models, and suggested the Mazda6 and Nissan Altima for the sport-minded consumer in this class. The Camry is consistently called a “comfortable” and even “plush” ride, but the comfort-centered suspension draws criticism for its noticeable lean in corners (although less so for the SE), and an ungainly feel in fast turns. The Hybrid, in particular, was critiqued for clumsy and delayed steering response. Even more alarming was one report of a loud creaking noise from the steering column of a Hybrid as it cornered. The steering receives mixed reviews, with some feeling that the Camry non-Hybrid trims offer “accurate and responsive” steering, while others find it numb and uninvolving. “Comfortable” and “spacious” typically describe the interior of the 2011 Camry, with plentiful storage and seating for five of any shape or size. The layout and design of controls earns consistent praise for its ergonomics, although several reviews noted that instrument displays become difficult to read in bright sunlight. The Hybrid’s dashboard offers plentiful information--about battery levels, engine use, and even the brakes (whose friction is converted into energy to recharge the battery)--but has been criticized for being overly distracting while driving. The Camry’s navigation screen has likewise been described as complicated--with touch points being used for both navigation and audio controls. Base and LE trims provide 15 cubic feet of cargo space. The SE and XLE decrease the trunk size slightly (14.5 cubic feet), while the Hybrid shrinks the available trunk room even further (10.6 cubic feet). Reviewers note, however, that the shape of the hinges intrudes on the actual storage available, and the opening of the trunk was criticized for an inability to accommodate larger items. The back seats of the Base, LE, and Hybrid come standard with 60/40-split rear seats for additional storage. The XLE has a rear seat split 40/20/40, but surprises with reclining rear seats. The SE has a fixed rear seat, with only a central pass-through to the trunk. The five-passenger seating in the Camry is almost universally praised for comfort and spaciousness--with ample headroom and seats that reportedly offer a combination of support and softness. However, one review noted that the seat cushion is not quite long enough to provide the best support for travelers. Available upgrades for the 2011 Camry include leather upholstery and heated front seats (SE, Hybrid, and XLE), a power tilt and slide moonroof, a rear spoiler (SE), voice-activated DVD touch-screen navigation system with backup camera (SE, Hybrid, and XLE), as well as the SmartKey System (SE, XLE). In spite of the comfort of the interior, several reviews note problems with the quality of interior fixtures and fit, including seams and plastic panels that lack proper and precise alignment, and feel “lightweight” and “substandard,” as well as complaints of squeaks and rattles. Given Toyota’s recent recall history, safety concerns understandably jump to mind when considering the brand. Every 2011 Camry comes standard with the Toyota Star Safety System. All trims are equipped with seven airbags (including a driver’s knee airbag), Vehicle Stability Control with off switch, traction control, antilock brakes, electronic brakeforce distribution with Brake Assist, and a tire pressure monitoring system. Additionally, Toyota declares that the 2011 Camry’s accelerator pedal has a completely new design, distinct from the one in recalled models. Given that the 2011 Toyota Camry is largely unchanged from 2010, safety ratings should continue to be excellent. The 2010 Camry (all trim levels) rated a perfect five stars from the NHTSA for both front and side crash tests, and the IIHS gave the Camry (from 2007-2011) the highest safety rating of Good for front offset tests, side impact tests, and the roof strength test. Owners of the 2011 Toyota Camry offer similar raves (and a few misgivings) about this year’s model. Owners note a lack of standard features with the Base, as well as steering that feels loose, and soft cornering with the suspension. The quality and workmanship (or lack thereof) in the interior of the vehicle was one of the biggest negatives expressed by owners. One remarked that the interior quality is not as impressive as previous years’ models, and another comments that the interior had already developed rattles at 3,000 miles. Despite these deficits, owner reviews of the 2011 Camry typically admire the quiet, reliable, comfortable, roomy, and luxurious car. One owner even compared driving his Camry to driving a living room. The JBL stereo in the XLE elicits praise from owners for its sound quality, and several owners mention their ability to get an excellent deal--purchasing (or leasing) a luxury-feeling ride at a reasonable price. What's your take on the 2011 Toyota Camry? Carrie The 2011 Toyota Camry is the first new car I ever bought myself. After being in two auto collisions in my Camry (both caused by other drivers on their phones), I have to say that the safety features of the 2011 Camry are top notch. Though I will be living with my injuries from the collisions for the rest of my life, I have no doubt that the safety of the Camry and the responsiveness and reliability of the Camry seat belts are the reasons I'm not in a wheelchair and/or paralyzed today. 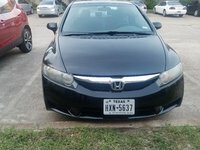 That alone makes this car a great choice for a family or for a teenager, young adult or anyone who is looking for a safe, yet gas-friendly vehicle. It's also pretty sharp-looking. Not to mention that I already have over 100,000 miles on it, and it still runs like new. As for how it drives, the turning radius is one of my favorite things - makes it easier to maneuver in tight spots. It has some get up and go, and does fine in traffic. I wouldn't hesitate to buy another Camry, although I wouldn't get a red one this time - seems like other drivers like to use my red one as a target. Users ranked 2011 Toyota Camry against other cars which they drove/owned. Each ranking was based on 9 categories. Here is the summary of top rankings. Have you driven a 2011 Toyota Camry? My Car Wont Start! Help!! 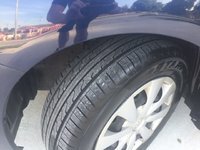 How Do I Change The Automatic Transmission Fluid On My 2011 Camry? There is no dipstick so I need to know where to add fluid and how to know how much to add. Thanks. Why Does My 2011 Toyota Camry Air Conditioning Works Only Intermittently?